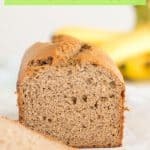 Easy gluten free banana bread recipe using just one bowl! Moist Gluten free dairy free banana bread is sweet, with a tender crumb and golden edges. 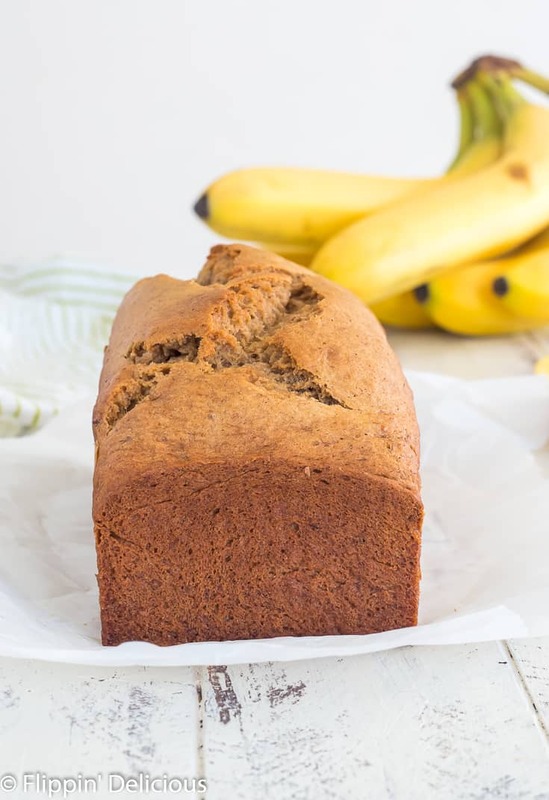 Ever since I was a kid, I’ve hated bananas but I’ve loved a moist, sweet banana bread. Especially if it has a smear of cream cheese on top. It makes sense that my oldest is the same way. A devout banana hater. But she thinks this is the best gluten free banana bread! 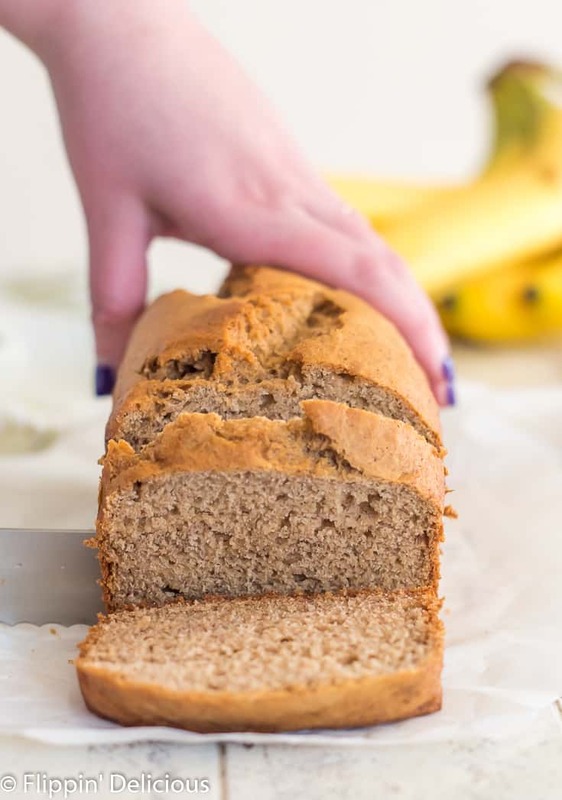 How to make gluten free banana bread? Since the bananas are mashed in the same bowl everything gets mixed in, this is a one bowl gluten free banana bread. My recipe calls for 1 1/2 cups of mashed banana, which is usually 3 bananas for me. 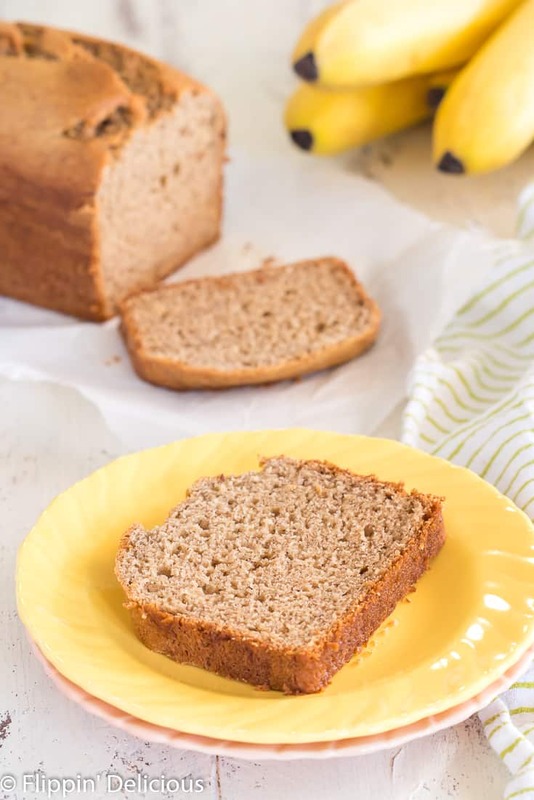 Because of the moisture from the bananas, and the oil and eggs in the recipe, this gf banana bread doesn’t have milk, making it gluten and dairy free banana bread! It gets all the liquid it needs from the bananas! This gives my gf banana bread a great taste, and a tight and tender crumb. Simply add the other ingredients to the mashed bananas in the order listed, and mix until smooth. 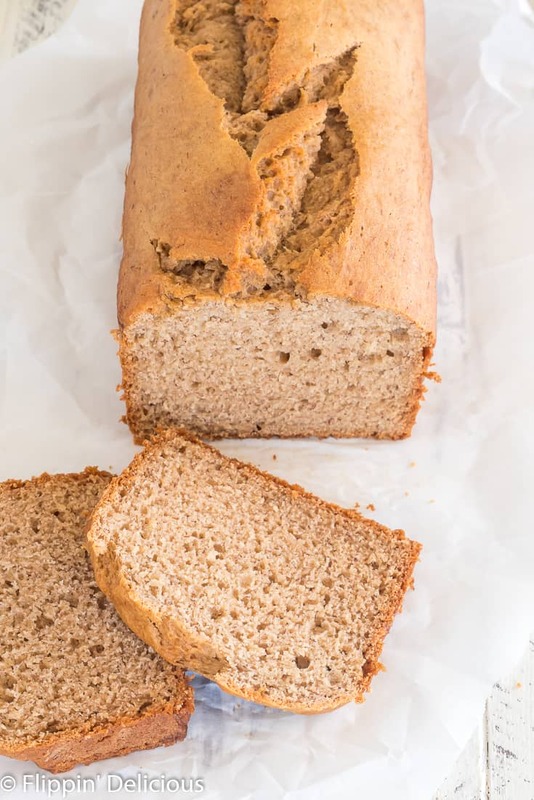 The edges turn golden brown as it bakes, and develop a crisp crust, like the edge of a cake, that helps the gluten free dairy free banana bread come out of its pan easily. 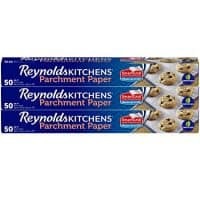 I like to line my loaf pan with parchment paper, so I can easily life my banana bread out of the pan. You may notice my loaf pan is taller and narrower. Using a 9×4 loaf pan instead of a 9×5 (standard) loaf pan will help your bread to rise without the structure of gluten. 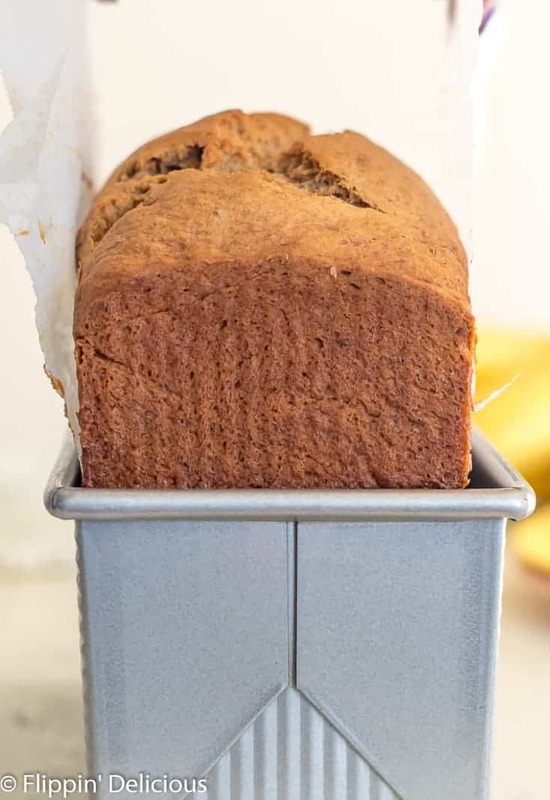 You can use a 9×5 loaf pan if you prefer, but you will probably need to cook your banana bread a little less. Check it about 10 minutes before the timer dings. 3 bananas. Or about 1 1/2 cups of mashed banana. Brown sugar & white sugar. I use a combo of brown sugar and white sugar in my gluten free one bowl banana bread recipe. The brown sugar make the banana bread moist, and the sugar helps it to have a beautiful golden crisp edge. Oil. You can use an oil in its liquid form. I used a canola oil, but I’ve also used melted butter, and coconut oil. The oil gives makes the banana bread moist and carries the flavor. If you skimp, it will be tough and flavorless. 2 Eggs. The eggs give the banana bread lift and structure. 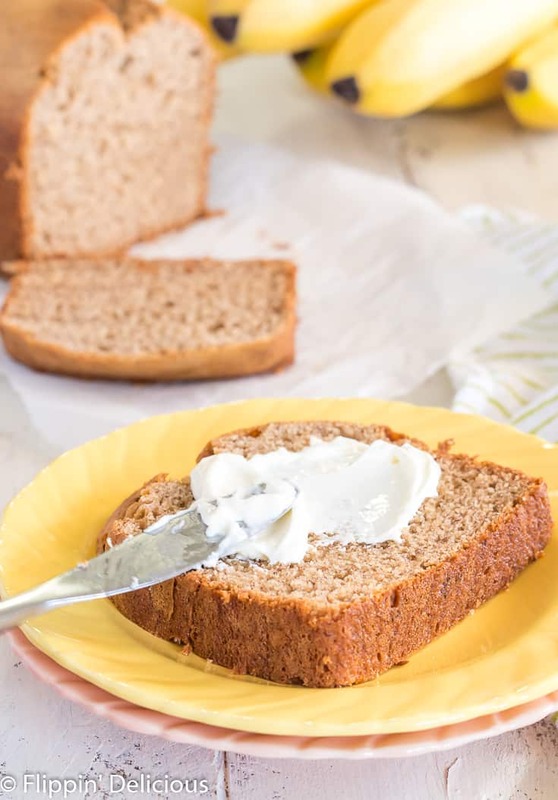 If you need to make an egg-free banana bread you can use an egg substitute like Bob’s Red Mill’s Egg Replacer, or a flax egg. 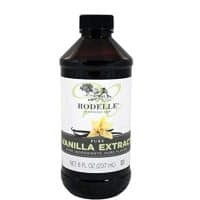 Vanilla extract. Don’t skimp on the vanilla. It compliments the mashed banana and rounds out the flavor of your gluten free banana loaf. Baking Powder & Baking Soda. They both give your banana bread the lift it needs so you don’t end up with a hockey puck. Xanthan Gum. If you are new to gluten free baking, you may not have heard of xanthan gum. Xanthan gum helps to give your gluten free banana bread the structure it needs since there isn’t any gluten to hold things together. If you are using a gluten free flour that already has xanthan gum, please omit the xanthan gum in the recipe. There are also some gluten free flours that don’t need xanthan gum, like Ryze’s Yellow Bag. Gluten Free Flour. I used my gluten free flour. You can use another high quality gluten free flour if you prefer, I have been mixing my flour blend for years so that is what I prefer to bake with but there are now many great gluten free flours on the market. You can read all about my favorite gluten free flours to help you choose the one that is right for you. Ground Cinnamon. Whenever I make a gluten free quick bread with fruit, a little cinnamon just feels right. You can add in your favorite spices, if you like. I often add a little nutmeg too. I think a little ground cardamom would be incredible! It is easy to customize this basic one bowl banana bread recipe however you want. Add some nuts. Or chocolate chips. One of my favorite flavor additions was chopped figs to make gluten free banana bread with figs! I’ve also make gluten free browned butter banana bread, topped with a browned butter glaze. Absolutely not dairy free, but the nuttiness from the browned butter adds an incredible flavor to the gluten free banana bread! What do you like to add to your banana bread? Can I make Gluten Free banana bread with 2 bananas? This gluten free banana bread uses 1 1/2 cups of mashed banana, which is usually about 3 bananas. If you only have 2 bananas, you can add apple sauce or yogurt until you have 1 1/2 cups of banana mixture. You can also add 1/4 cup milk, or dairy free milk. with 2 bananas (about 1 cup mashed bananas). I’ve found that my bread will cook a bit faster, so check it at least ten minutes before the timer dings. Yes, bananas are gluten free. Gluten is a protein that is found in wheat, barley, and rye. There isn’t really a cross contamination issue with bananas since they don’t grow in the same climate. Does banana bread contain gluten? Unless banana bread is specifically make with gluten free flour, it contains gluten from the flour used in the recipe. 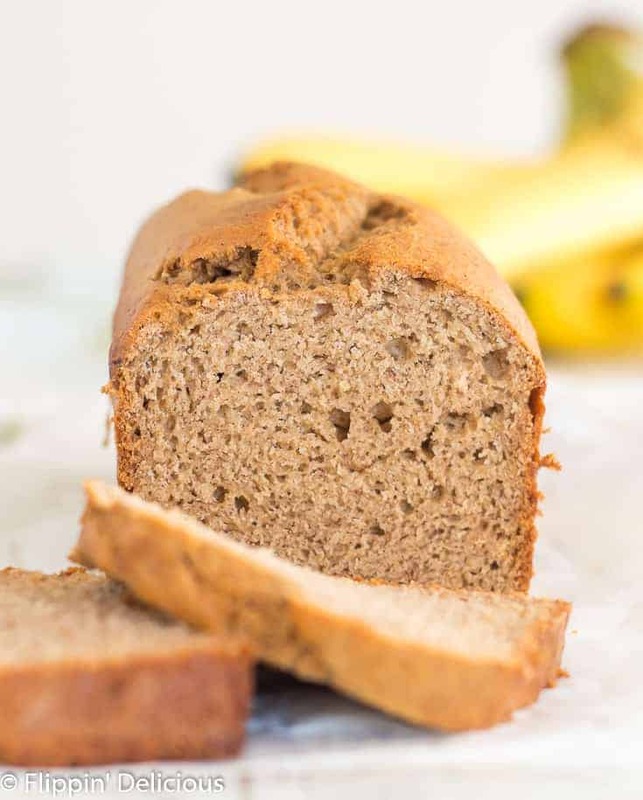 All you need is a recipe for banana bread using gluten free flour. 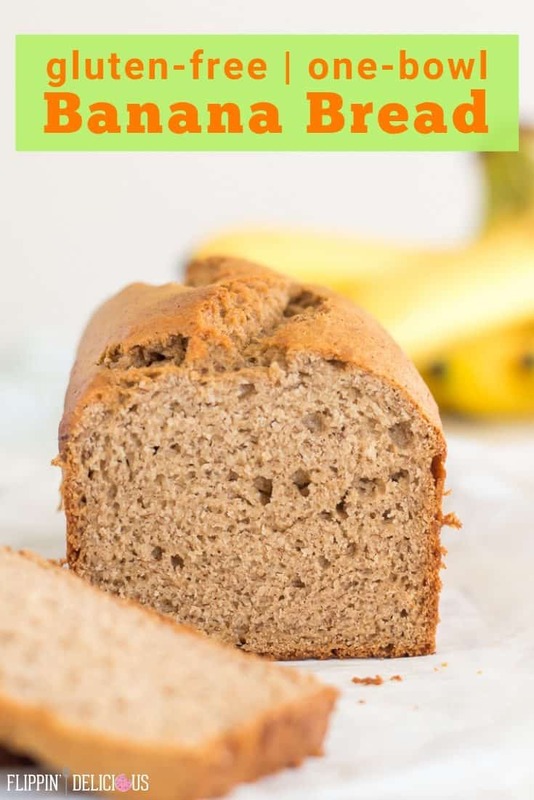 With this easy gluten free banana bread recipe, you don’t have to miss out on a warm slice of banana bread if you are gluten free. 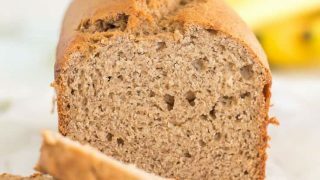 What are your favorite gluten free quick breads? If you like my easy one bowl banana bread recipe, you might also like my blender gluten free zucchini bread. You may also like my friend Chrystal’s grain free hummingbird cake. It is made with almond flour, bananas, and pineapple. Preheat the oven to 350F. 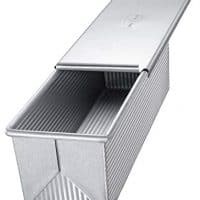 Lightly grease 9x4 loaf pan and line with parchment paper if desired. Mix together the mashed banana, brown sugar, white sugar,oil, eggs, and vanilla until smooth. Add the baking soda, baking powder, salt, cinnamon, and xanthan gum and mix until evenly combined. Add the gluten free flour and mix until combined. Let cool in the pan for at least 10 minutes before removing from the pan. If you use a gluten free flour other than my blend, please don't add it all at once. Reserve 1/4 cup and only add if the batter is still too thin. Many different gluten free flours absorb differently. I tested this recipe using the same amount of Bob's 1 to 1 gluten free flour by volume and it worked great. Please spoon your flour into you measuring cup, and then level it off. If you scoop directly with the measuring cup you'll get too much flour and your gluten free banana bread will be dry.